DRW and the Wisconsin Disability Vote Coalition are working to turn out the vote for the April 2nd election. 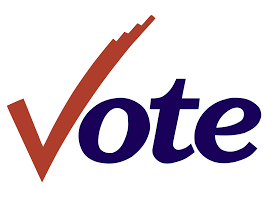 Voters will elect a Wisconsin Supreme Court Justice, and many communities have local elections for mayor, school board, city alderpersons, village board trustees, and city, village and clerks or clerk/treasurers. Check out our fact sheet to learn why the Wisconsin Supreme Court is so important. For disability related questions about voting, or help addressing a concern or filing a complaint, contact the Disability Rights Wisconsin Voter Hotline at 1-844-DIS-VOTE / 844-347-8683. The Wisconsin Election Commission toll free help line is available to answer all voting related questions at 1-866-VOTE-WIS.
For additional information, read our release about the April 2nd election.